The grass-carpeted hills of Milpitas, on the southeast shore of San Francisco Bay, were home to the Ohlone Indians for at least 1,300 years before they became a landmark for Spanish padres who rested at nearby Penitencia Creek on the long day’s journey between two missions. When the area became a Mexican cattle ranch in 1835 it was called Rancho Milpitas, meaning a thousand flowers or gardens. Later adopted by the town that grew up there, the name accurately described the many farms laid out on rich soil honeycombed with clear springs. 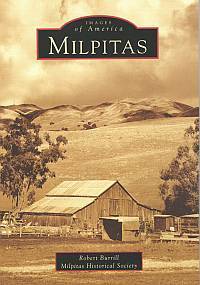 The produce of Milpitas, shipped by rail and water, once supplied San Jose and San Francisco, and its hay and grain fed the cities’ horses. As the agricultural era waned, Milpitas, with its picturesque hills, attracted new residents and industries and is now home to businesses like Cisco and Sun Microsystems.